I found out today that drummer Billy Hart (pictured left), who was supposed to be part of Bennie Maupin's Trio performing Saturday May 1 at Wesleyan, will not be performing this weekend. His replacement is no stranger to Maupin's music. 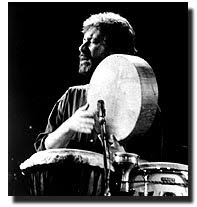 Michael Stephans (pictured below) appeared on the reed player's recording "Penumbra" (Cryptogramophone) and has also worked with Bob Brookmeyer, Bennie Maupin, Dave Liebman, Pharoah Sanders, the late Charlie Byrd and many others, will be manning the drum chair. Bassist Buster Williams is still on the bill for the 8 p.m. show. 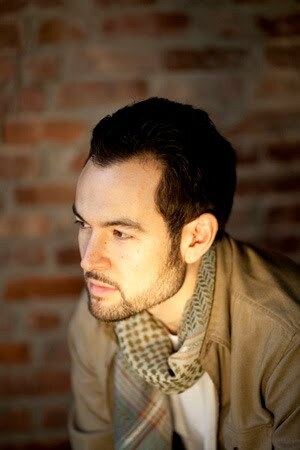 The Spring 2010 Jazz Series at Firehouse 12 continues this Friday evening with Tomas Fujiwara & The Hook Up. The drummer/composer, born and raised in Boston, Massachusetts, studied with the great drummer Alan Dawson and has performed with good friend Taylor Ho Bynum, Anthony Braxton, Ravi Coltrane, William Parker, Matana Roberts, David Murray, Nicole Mitchell and others. His latest project, The Hook Up, features the fine young guitarist Mary Halvorson, trumpeter Jonathan Finlayson, saxophonist Brian Settles and bassist Danton Boller. They'll beb playing music from the upcoming CD on 482 Music, "Actionspeak." You can get a taste of the music by going to www.tomasfujiwara.com/listen.html. It's sounds exciting and will be a kick to hear the material in the intimate performance space. They'll play 2 sets, 8:30 and 10 p.m. - you can find out more by going to www.firehouse12.com. Saturday, The Bennie Maupin Trio will perform at 8 p.m. in Crowell. Maupin, who plays saxophones and bass clarinet, may be best known for his work with Miles Davis and pianist Herbie Hancock (especially in The Headhunters) but he spent time with drummer Roy Haynes, saxophonist Pharoah Sanders, pianists McCoy Tyner and Horace Silver, and trumpeter Freddie Hubbard. His most recent music has appeared on the Cryptogramophone label and is fine, atmospheric, material; quiet (at times), yet probing, often melodic and rhythmically daring. His Trio mates are both master players, bassist Buster Williams and drummer Billy Hart. Opening the evening will be The Wesleyan Jazz Orchestra. For ticket information, call the Box Office at 860-685-3355 or purchase online at www.wesleyan.edu/cfa. Here's "Walter Bishop, Jr." from Maupin's "Penumbra" released in 2006 and featuring Darek "Oles" Oleszkiewicz (bass) and Michael Stephans (drums.) The track is courtesy of Cryptogramophone and IODA Promonet. Just returned from 5 days and nights in Chicagoland and music played an integral part of the first few nights. The Heath Brothers Band was performing at Joe Segal's Jazz Showcase and we caught the first set on Friday night. Before the band hit the stage, Albert "Tootie" Heath (left) was in rare form, joking with customers and picking on the "babies" in the band (pianist Jeb Patton is 35 while bassist David Wong is but 28.) We mentioned we had seeing the band 32 or 33 years ago (when brother/bassist Percy was still alive and Connecticut-based guitarist Tony Purrone was in the group) and "Tootie" (aged 75) shook his head saying "who can remember that far back?" and pointing to bassist Wong, "Not this guy!" Then, the band played - if you've never experienced "Tootie" Heath, you are missing a treat. Yes, he's a master drummer and showman but he's really the heart and soul of the quartet. Always in motion, working the cymbal and the snare drum, really pushing the beat. Always in eye contact with either the bassist or pianist, making sure he's with them. Both Patton and Wong are excellent players with the pianist displaying serious blues roots and the bassist incredible facility and great melodic sensibility. Jimmy played tenor sax most of the set and switched to soprano for one fine ballad. Despite a small audience, they had fun playing together and for us. On the way out, Jimmy Heath shouted back to our goodbyes, "Thanks for coming, Connecticut!" For the Borders' hit, the duo played 4 standards including a sweet version of "Fats" Waller's "Jitterbug Waltz." Ms. Cohen is quite the fluid player, with a sound that is "sweeter" than Goodman's but filled with smears, lightning-quick runs and gutsy blues phrases. She chatted up the crowd, signed copies of the new CD and then headed off into misty Chicago afternoon. We ate well (love that Eleven City Diner), visited family, drove to Milwaukee for a Brewers-Cubs game (with side trips to the Milwaukee Art Museum and Kopps' Custard Stand) and walked through Millennium Park (twice.) Good to get away. More music to follow, including a preview of Tomas Fujiwara at Firehouse 12 Friday and Bennie Maupin Trio (with Buster Williams and Billy Hart) on Saturday. The 2010 Spring Jazz Series at Firehouse 12, 45 Crown Street in New Haven, continues on April 23 with the Armen Donelian Quintet. Composer/pianist Donelian has been active on the jazz scene since the mid-1970s performing and recording with artists such as Mongo Santamaria, Sonny Rollins, Chet Baker, Billy Harper, and others. He has issued 11 CDs as a leader and appeared on several dozen more. In 2000, he began a musical relationship with saxophonist Marc Mommaas that continues to this day and, so far, has produced one fine duo recording, "All or Nothing at All", released in 2005 on Sunnyside Records. Mommaas, whose new CD "Landmarc" was just issued on Sunnyside, is in the group coming to New Haven which also features Mike Moreno (guitar), Dean Johnson (bass) and Tyshawn Sorey (drums.) The band is preparing material for a forthcoming recording. They'll play 2 sets, 8:30 and 10 p.m. - tickets are available on line at www.firehouse12.com or by calling 203-785-0468. For more information about Armen Donelian (and to listen to his fine music, go to www.armenjazz.com. The First Congregational Church of Guilford, 122 Broad Street, presents the first of 2 concerts in its "Joyful Noise!" series this Sunday (4/25) at 4 p.m. Scheduled to perform is singer/songwriter Peter Eldridge and his group. Best known for his work with New York Voices, Eldridge has issued 3 solo CDs and the release of his new recording, "Mad Heaven" is imminent. He is an impressive songwriter, good arranger and has a most pleasing tenor voice. Joining him for this gig will be his associate in New York Voices, Lauren Kinhan, as well as guitarist Jessie Lewis, bassist Matt Aronoff and drummer Ben Wittman. If you like melodic music and articulate vocalists, this should be a fun concert. And, there is no admission charge - for more information, go to http://firstchurchguilford.org/. To learn more about Peter Eldridge, go to www.petereldridge.com. The "New Release" bin is filled to overflowing so here's a quick look at the best of the bunch. Reed composed the rest of the material, with one song each dedicated to the older members of the band. "Third Option (for Art Hoyle") is a bluesy, medium-tempo, piece that features fine solos from Haldeman and Ward and strong flugelhorn work from Hoyle. "The And of 2 (for Ira Sullivan") opens with the ensemble hitting the theme before Sullivan delivers a smooth yet "killer" tenor solo. Ward gets the longer solo and he does not disappoint with his rousing romp. Listen to the great interjections during the solo sections, giving the piece more depth. "Door #1 (for Julian Priester") opens out-of-tempo, with the veteran trombonist rising up over the bass and drums before the piece settles into a slow, blues-tinged, groove. Priester and Bishop weave their sinuous lines around each other while Hoyle interjects his mellow flugelhorn. Old Tea - Michael Musillami Trio (Playscape) - Recorded 6 months after the guitarist/composer's son took his own life, Michael Musillami's latest CD is both a tribute to his son Evan and another step forward in the Trio's impressive catalogue. Bassist Joe Fonda and drummer George Schuller have been working with Musillami since the early years of the 21st Century and this band is a tight a unit one will hear in creative music. If you have ever see the guitarist play, you know how much he puts himself into the moment yet is unfailingly gentle and friendly to people outside of the spotlight. Some of that gentle quality enters this music. "Introduction", the opening track, is an introspective and impressionistic work, over half of it is unaccompanied guitar and the rest a soft reminiscence. The title track swings in on a pretty melody line (played by guitar and bass) and moves into a bass solo. When Musillami takes over the spotlight, he alternates between short phrases and longer, rapid-fire, riffs (but never at a high volume.) He kicks into high on "'King Alok", with a touch of John McLaughlin (in his Mahavishnu days) entering the sonic soup. Schuller really drives this piece, his propulsive pounding rocking the speakers. Yet, hear how soft he can be, with swirling cymbal work, on the very next cut, "Kitchen Tribute (collective interlude"). 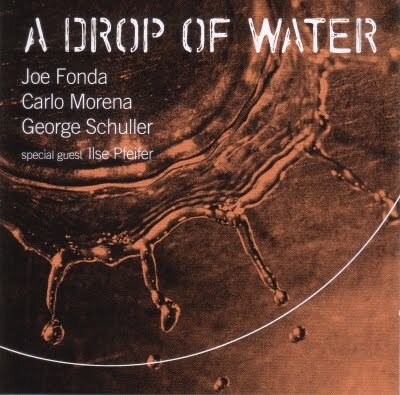 Fonda has become such a melodic bassist - sure, he can "walk" and "swing" with the best but his counterpoint to the guitar lines is excellent throughout (no more so than on "Evy-Boy.") His solo piece, "Jameson #30 (bass interlude"), serves a melodic intro to the Monk-influenced blues, "Umbrella Top...That's How I Roll." "Old Tea" is music born from a lifetime of memories and from emotions that can cripple many parents. Yet, Michael Musillami has created a program that celebrates life and the healing qualities of the creative process. By choosing to focus on the positive aspects of his son Evan, he creates a portrait filled with warmth and, yes, joy, but not cloying or sentimental. For more information, go to www.playscape-recordings.com. 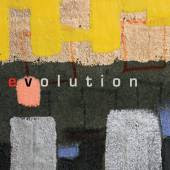 Evolution - Dave Glasser - (Here Tiz Records) - Alto saxophonist Dave Glasser is a veteran player, with stints in the Count Basie Band (under the direction of Frank Foster), Illinois Jacquet's Big Band, pianist Barry Harris's band and the Clark Terry Quintet. For his 6th CD as a leader, he mines the rich veins of 50s and 60s mainstream jazz. There are several bows in the direction of Thelonious Monk, from the rapid fire swing of "Rhythm-a-ning" to a pair of original pieces (one by Glasser, the other by pianist John Nyerges.) In addition, one hears the influence of Billy Strayhorn in the lovely "Tranquility", on which Glasser's alto reaches into the higher registers without strain. "Minor Madness" rides in atop pounding McCoy Tyner-like chords and muscular rhythms provided by Jeff Campbell (bass) and Rich Thompson (drums.) There's a touch of John Coltrane and Arthur Blythe in the hearty alto solo. Glasser knows how to caress a melody line, as he shows on the sweet "Blue Iridescence", a slow ballad that never drags with a long yet involving alto solo. Although "Evolution" may not be breaking any new ground, Dave Glasser and crew eschew cliche-ridden riffs for melodies that really sing. He's not out to show the world he can "blow with the best", he's out to make music that expresses his joy and interests. And, that he does very well indeed. For more information about Dave Glasser, go to www.originarts.net/daveglasser/. 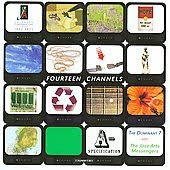 Fourteen Channels - The Dominant Seven and The Jazz Art Messengers (Tapestry) - When I hear such positive music, as displayed on "Fourteen Channels", I refuse to believe that jazz is dying (the number of recordings keep increasing, even as sales go down.) The 17 musicians who makes up the 2 groups on this recording are currently members or recent graduates of the Colorado Conservatory for the Jazz Arts (CCJA), a 10-year old program of workshops, camps and programs that immerse attendees in the music. All the tunes and arrangements are originals (from the members) and the playing is, is most cases, quite good. Both ensembles feature a rhythms section of guitar, piano, bass and drums, with The Dominant 7 having a front line of a trumpeter, a baritone player and a reed player who plays alto, soprano, and tenor saxophones and flute. 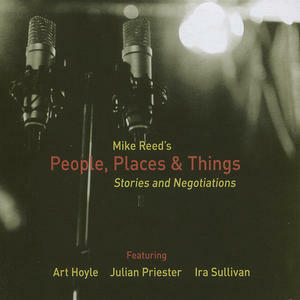 The 9-member Jazz Art Messengers features 4 reed players (2 tenors and 2 altos, with clarinet and flute on several tracks) plus a trombonist (no trumpet). I don't have the time or space here to go into each track but, if you like mainstream jazz and want to get a taste of the future, go to www.jazzarts.org. The music is well worth the investigation. Uncertain Living - The Britton Brothers Band (Record Craft, self-released) - As I write this (4/20), this quintet, led by brothers John (trumpet) and Ben Britton (tenor saxophone) is out on its first tour (4 gigs in April and 5 in May) to celebrate its inaugural release. Graduates of the Eastman School, the Brothers have created a very pleasing program of original works (plus one adaptation of a gospel tune) in the vein of The Dave Holland Quintet. One hears the influence of Holland's music in the quirky rhythms, drummer Austin Walker's explosive playing and the open-ended quality of the solos. Pianist Jeremy Siskind is strong throughout whether soloing or supporting (his piece, "June Humidity" is an evocative ballad, with a melody line akin to "I've Got It Bad (And That Ain't Good."). Bassist Taylor Waugh supplies the throbbing underpinning and can really swing (as he displays on "Molo.") Younger brother John displays a crisp tone and his solos are smart, delivered with assurance and a melodic eye. Ben has a hearty tone (with a softer side, not unlike Wayne Shorter), a predilection for rhythmic adventure and creates melodies that seem to propel forward. Tenor saxophonist Chris Potter (longtime member of Dave Holland's bands) joins the Quintet for 2 tracks, both of which feature extended duets with Ben. Honestly, this does not sound like a debut recording - the band works well together and there is a sense of joy in the music that comes from a shared vision. Nothing "Uncertain" about this CD; if you like music with a strong groove as well as good soloing, check this out. Go to www.thebrittonbrothers.com to find out more. Next week, the music of the Ernesto Cervini Quartet, the Wayne Brasel Quartet, and Satoko Fujii will be featured. Taxes behind you? Time to relax with some fine live music. Trinity-on-Main, 69 Main Street in New Britain, present the Britton Brothers Band as they embark on their CD Release Tour. Formed by brothers Ben (tenor saxophone) and John (trumpet), the quintet features Jeremy Siskind (piano), Taylor Waugh (bassist) and Austin Walker (drums.) Their music channels the energy and influences of the Dave Holland Quintet, Wayne Shorter, Herbie Hancock, Dave Douglas, and others (one hears blues and gospel in the mix) into a fine blend that swings hard and makes one listen. The debut CD, "Uncertain Living" (self-released) sounds both quite mature as well as youthfully exuberant. Tenor saxophonist Chris Potter appears on 2 tracks and easily weaves his sound into the band. 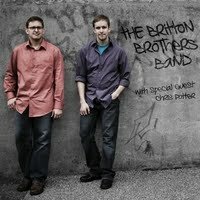 To find out more about the recently released CD and the band, go to www.brittonbrothers.com. For ticket information (the suggested donation is just $5 and, believe me, it will be money and time well spent), go to www.trinityonmain.org/events_programs.htm. They'll play 2 sets, 8;30 and 10 p.m., and, since they all have family and friends in the New Haven area, the shows have sold well. For more information, go to www.firehouse12.com or call 203-785-0468. 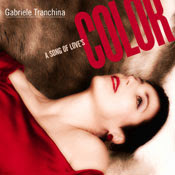 A Song of Love's Color - Gabriele Tranchina (Jazzheads) - This German-born vocalist has really pushed herself on this, her second release under her own name. With a band led by her accomplished pianist/composer husband Joe Vincent Trachina and co-producer/drummer Bobby Sanabria, this program features 11 tracks with songs sung in 6 different languages. Sanabria drives the band hard on the opening "Chante Comme Si Tu Devais Mourir Demain", imbuing the piece with a Brazilian "parade" feel. He, then, really shines on Antonio Carlos Jobim's "Samba De Uma Nota So", setting a breath-taking pace. Yet, Sanabria can be calm and colorful as he displays on the other Jobim work, "Inutil Paisagem" which also serves as a spotlight for the smooth, cool, tones of bassist Santi Debriano. Among the highlights is the inventive "Asato Maa (Sat Chit Ananda)", a Hindu prayer and chant atop Latin rhythms and featuring a "rap" section in English. There are several pretty ballads throughout the program, including the traditional Spanish folk song "Duermete Nono Bonito" and the sweet "Sing a Song of Children." German poet Else Lasker-Schuler (1869-1945) is the basis for a lovely melody (by Mr. Tranchina) - "Siehst Du Mich" is a love song sung in Ms. Tranchina's native tongue, a quiet and serene close to the CD. Gabriele Tranchina has a fine, clear,voice, is articulate and knows how to put a lyric over and how to work with a band, whether it's swinging hard or cooing a ballad. The sheer variety of her material is certainly a point in her favor (although it might drive radio programmers crazy.) Kudos to the fine rhythm section (percussionist Renato Thoms works well alongside Sanabria and Debriani) and the handsome piano contributions of Joe Vincent Tranchina. To find out more, go to www.sollatimusic.com. Give a listen to "Asato Maa (Sat Chit Ananda)" courtesy of IODA Promonet. Home - Aaron Goldberg (Sunnyside) - For the past 15 years (or so), pianist/composer Goldberg has graced the groups of such fine musicians as Nicholas Payton, Madeline Peyroux, Wynton Marsalis & The Lincoln Center Jazz Orchestra, Tom Harrell, Freddie Hubbard and, most notably, Joshua Redman. Besides leading his group, he's worked alongside bassist Omer Avital and percussionist Marc Miralta in the OAM Trio, an ensemble that also added saxophonist Mark Turner for several European recordings. "Home" is his 4th CD as a leader and certainly his most accomplished. Working with the stunningly good rhythm section of Reuben Rogers (bass) and Eric Harland (drums), Goldberg explores many different styles of music, ranging from Brazilian to standards to Thelonious Monk (a blazing reading of "I Mean You") to Stevie Wonder ("Isn't She Lovely" with an opening reminiscent of Randy Weston that carries over to the solo section.) There is also a heartfelt reading of Avital's "Homeland", with a long melody line that shows the influence of composer's native Israeli music. Tenor saxophonist Turner joins this band for 3 tracks, including the lovely opening track "Cancion Por La Unidad Latinoamericana" (composed by Cuban native Pablo Milanes and recorded, most notably, by Chico Buarque.) Turner's clear, clean, lines work well with this band and he really lets loose on Goldberg's "Aze's Blues", a romp that changes directions a number of times. Having seen the pianist perform "live" a number of times, one knows he's such an engaged accompanist and intrepid soloist. He rarely, if ever, overplays and he's got chops to burn. His ode to practicing, "Shed", has a really fine unaccompanied section in which he rolls out the rhythm and solos with glee. When the rhythm section returns, his phrases get longer and his comping more minimal. The poetic "The Sound of Snow" has a pretty melody and quite the impressionistic solo - the piece never descends into the mundane. 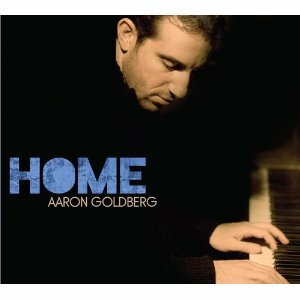 Credited to Aaron Golberg, "Home" is one fine group recording. He's the producer and chose the material but this is no ordinary CD of piano with bass and drum accompaniment. Goldberg, Rogers, and Harland often seem to breathe as one, inspire each other and have created a most pleasing program. To find out more, go to www.sunnysiderecords.com. 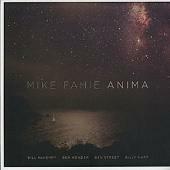 Anima - Mike Fahie (BJU Records) - Trombonist/composer Fahie (pronounced "Fay") has lived in New York City since the turn of the 2000s and is an integral member of several large ensembles (includng Darcy James Argue's Secret Society, Rob Mosher's Storytime and the Pedro Giraudo Jazz Orchestra.) His debut CD features a smaller yet quite explosive and exploratory ensemble including Bill McHenry (tenor saxophone), Ben Monder (guitar), Ben Street (bass) and Billy Hart (drums) - guess one's first name has to start with a "B" to be in this quintet. There is so much to enjoy on this program, starting with the impressive original compositions and intelligent arrangements. The rhythm section really kicks this music, especially Hart's dramatic drive and support throughout the program (listen to how he can be melodic as well as percussive.) Monder can really "wail" when he wishes (the high-energy "Democracy" being the primary example) yet his more subtle playing also stands out (Paul Simon's "Cecilia" and Fahie's "An Axe to Grind" among the highlights.) The Simon tune, cleverly rearranged, is pleasing for many reasons, from the highly active drumming to the solos to the way the piece unwinds, introspectively as opposed to the "poppiness" of the original version. McHenry is such a wonderfully understated soloist, at all times. Listen as he strolls his way through the group's take on Thelonious Monk's "Work" (great bass and drum work here as well) and his long tones mixed with short phrases on "Village Greene." Fahie is a strong soloist, whether riding atop Hart's snare on "Village Greene", on his own reading the melody for the opening 90 seconds of "The Journey" and flying through the changes on "Seven Sisters." After hearing Mike Fahie as a member of trombone sections on several fine recordings, it's such a treat to hear his music and playing on "Anima." This is the sort of program that just gets better with each listen. For more information, go to www.mikefahie.com. There is a CD Release Party on Sunday April 25 at the Cornelia Street Cafe, with the rhythm section section of bassist Jorge Roeder and drummer Jochen Reuckert replacing Street and Hart. The Cafe is located at 29 Cornelia Street, Greenwich Village in New York City. For more information, go to www.corneliastreetcafe.com. Happy Whistlings, Indeed! In Fact! Myra Melford's creativity rarely, if ever, sits still. Over the course of 2+ decades, she has created music for small and large ensembles as well as played with many great musicians, from bassist Mark Dresser to reed master Joseph Jarman to violinist Leroy Jenkins to saxophonist Marty Ehrlich. Since the first of this year, Melford has issued one of her finest CDs, "The Whole Tree Gone" (Firehouse 12 Records) and appeared on the impressive "Boom Tic Boom", drummer/composer Allison Miller's new CD on Fire Haven. On Friday April 9, she was in New Haven, CT, to record her newest project, "Happy Whistlings" in the lovely Firehouse 12 studios - she stayed that evening to play 2 sets in the recording studio's fine performance venue. The suite, influenced by "The Memory of Fire" trilogy of Uraguyan novelist Eduardo Galeano, featured the composer on piano, prepared piano and melodica along with Taylor Ho Bynum (cornets, vocal, whistling), Mark Halvorson (guitar, effects) and Stomu Takeishi (electric bass, electronics.) The quartet played the piece twice, once each set. The longer first set featured more noise, ranging from Takeishi using various objects to dampen his bass strings to the various mutes and devices of Bynum to Halvorson's Derek Bailey-influenced guitar shredding. There were long patches of melodic beauty, hypnotic piano phrases colored by Bynum's quiet background riffs. Other moments featured noisy give-and-takes, the cornet sputtering and buzzing while the guitarist scrabbled and scrambled sound, the bassist strummed furiously and the pianist scraped the strings on the inside of the piano. The second set featured a condensed reading of the piece yet no less interesting. One could hear the influence of the blues on the composer's writing, there was less noisy intensity and a bit more interaction. The lovely melodic fragments stood out more, the quiet spoken word section clearer, and still the piece had great power. Perhaps, for those who had seen and heard the first set, the element of surprise had lessened but, to these ears, the overall shape of the piece seemed sharper. It will be a while before the recording session sees the light of day but the memories of the live performance only serve to heighten the anticipation to hear this suite again and once more get lost in its intricate construction. Myra Melford continues her personal journey and the curious listener is better for her travels. Friday April 9, Firehouse 12, 45 Crown Street in New Haven, presents Happy Whistlings for 2 shows, 8:30 and 10 p.m. This quartet is a newer project for pianist/composer Myra Melford and is, in the composer's words, "inspired and based on Uraguyan writer Eduardo Galeano's 1982 book "Memory of Fire Trilogy: Genesis".. with both notated music and improvised sections for various groupings within the quartet." Joining her will be Taylor Ho Bynum (cornet), Satoshi Takeishi (bass) and Mary Halvorson (guitar.) The group will be recording in the studio earlier in the day, most likely for the venue's record label. Earlier this year, Firehouse 12 Records released Ms. Melford's brilliant "The Whole Tree Gone", featuring her BeBread sextet. For ticket information, go to www.firehouse12.com or call 203-785-0468. Next week (4/16), the "12" presents Playdate, a quintet featuring longtime friends Wayne Escoffery (saxophones), Amanda Monaco (guitar), and Noah Baerman (piano) with Henry Lugo (bass) and Vinnie Sperazza (drums.) Their self-titled debut was just issued on the Posi-Tone label. Noah Baerman will be my guest this Friday on WESU-FM's "EYE On The Air" at 1 p.m. WESU-FM is 88.1 on the dial and is also available at www.wesufm.org. The group he brings to New Haven includes Brahim Fribgane (percussion, oud), Graham Haynes (flugelhorn, cornet), Joseph Bowie (trombone, percussion), Jerome Harris (acoustic bass guitar, vocals), and Wesleyan graduate Kenny Wessel (acoustic & electric guitars, banjo.) The program will have elements of South American, Asian, Middle Eastern and African music, trance-like rhythms, and jazz. For more information, go to www.firehouse12.com. The trio of Joe Fonda (bass), George Schuller (drums) and Carlo Morena (piano), known as Step In, will perform Saturday evening at 8 p.m. in The Buttonwood Tree, 605 Main Street in Middletown. The trio has been together over a decade now and is exploratory yet melodic, vibrant, at times quiet, and always moving forward. Joining them will be vocalist Jasmine LaBianco. 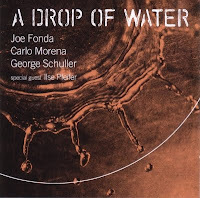 Fonda and Schuller are long-time members of guitarist Michael Musillami Trio while Morena has a busy career in Europe. To reserve a space for the gig, call 860-347-4957.